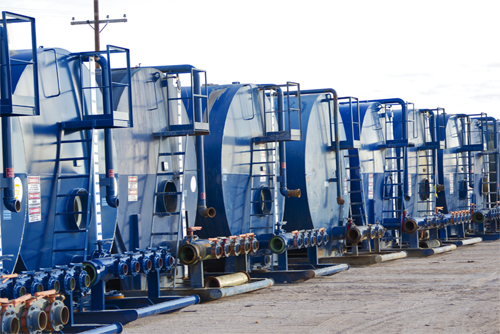 Non-coated and coated FRAC TANKS are available for your specific needs. Our coated tanks are used for quality control and storage of all types of fluids from water to product fluids. All tanks are equipped with valves, ladders, and landings for your safety. The storage capacity is 500 BBL or 21,000 gallons. Our frac tanks are also skid mounted.